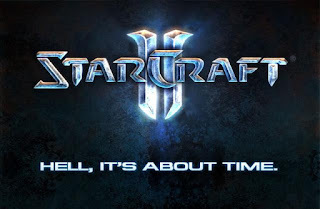 Blizzard announced yesterday that the release of the much anticipated (understatement) second installment in the Starcraft franchise will be delayed. The justification behind this decision is that it "became clear that it would take longer than expected to prepare the new battle.net". Blizzard remains faithful to the "when it's ready" policy of releases. Compared to other companies that release unpolished/buggy software this is a good thing, but at the same time disappoints the die hard fans that just want to play the game. The new battle.net is essential to the multiplayer aspect of the game. The perfect balance and flawless multiplayer gave starcraft a faithfull following and a, still, very large active community of players around the world for the past 10 years. Blizzards wants to keep it that way with Starcraft 2.